Beautiful Vancouver is surrounded by the ocean and Fraser River with sweeping views of the Northshore mountains. Located to the east is Burnaby, to the south is Richmond, and to the north is West Vancouver and North Vancouver. 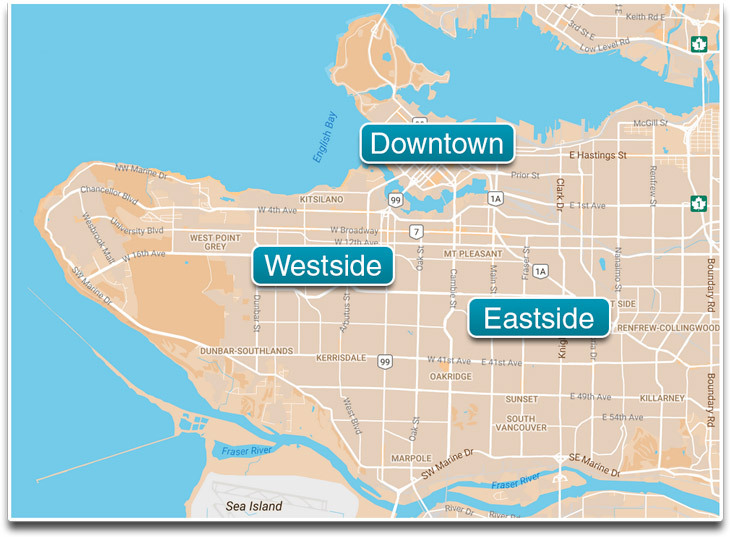 View the three Vancouver areas (Downtown, Westside, Eastside), or all Vancouver neighbourhoods. Learn more about the Vancouver community and things to do. Learn about the current real estate market with our Vancouver Market Report.